Etsy Spring Sale! | A Blackbird's Epiphany - UK Women's Fitness and Fantasy Writing Blog: Etsy Spring Sale! Yes, it's that time again! Etsy's site-wide spring sale event kicks off today and Myth of the Wild is proud to be a part of it! And it's the biggest discount I'm able to offer outside of Black Friday - which is 8 months away, so if you have your eye on a gift for an anniversary, Mother's Day, birthday or whatever, now is the time to buy! No code needed - everything's already been discounted! 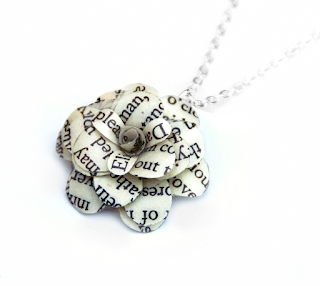 I've got book flower necklaces, rings and earrings, making the perfect gift for book loving mums, and, of course, plenty of animal jar necklaces for the wildlife enthusiast. 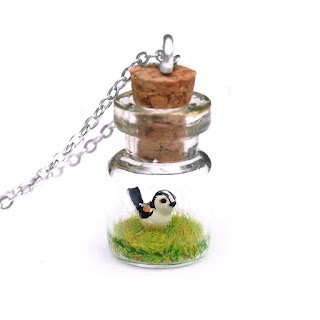 And a few garden bird necklaces for gardeners!